You may have seen Ken Fisher’s ads shouting, “I Hate Annuities!” My newsletter has been critical of annuities from time to time, but I don’t hate them. There is a time and place for annuities. Annuities were originally created as a retirement account for people who did not have a pension through their employer. Long before IRAs and 401(k) plans, annuities were the only retirement account for these people. 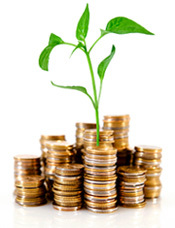 Investment in an annuity offered tax-deferred growth. The account owner could convert the annuity to a lifetime stream of income when they reached retirement age. Annuities were pensions for people who didn’t have a pension. So why does Ken Fisher hate them? Ken lists the reasons he hates annuities in his December 15, 2014 column in Forbes magazine. Complicated contracts – “The contracts are huge, obtuse, confusing and hence rarely read.” The agents selling the contracts don’t explain them well to the buyer. Therefore, the buyers rarely understand what they are buying. Huge commissions – Agents are paid large commissions that may not be adequately disclosed. The buyer doesn’t notice the commissions because they are buried in the ongoing fees charged to the contract. The buyer is often tied to the contract with surrender fees for a period of years, which gives the insurance company time to recover the commission they paid upfront to the agent. Safety oversold – Scare tactics are sometimes used to sell contracts. Agents tout their annuity as a “safe” investment to buyers who are fearful of investing in the stock market. Ken points readers to a FINRA investor alert from 2009 Annuities: Beyond the Hard Sell, which warns investors about some of the scare tactics used to mislead buyers. To his credit, Ken discloses his bias against annuities. His firm manages stock portfolios. He would prefer investors put their money with his firm to manage rather than in an annuity. I agree with the points he makes. My own experience has been that most owners of annuities do not fully understand their contracts. There is no way to know for sure if the agent fully explained the contract or not. I have also found most owners don’t understand the internal expenses of the contract or how the agent was paid. They do believe their money is safe. At least they believe it’s safer than investing in the stock market directly. Ken did miss an important annuity drawback (or benefit, depending on your perspective)— the earnings in the contract are tax deferred. In most cases, I believe this is a drawback because tax-deferred earnings are taxed as ordinary income when withdrawn. Growth and qualified dividends are taxed at a much lower rate when they are earned outside of a tax-deferred account. Owning stock funds in an annuity contract have a tax disadvantage when the earnings are eventually used by the owner. When building the New Three-Legged Stool for retirement, I rarely find someone who is under weighted in their tax-deferred leg. Most people are over weighted in the tax-deferred leg because the easiest way to save is through an employer-sponsored plan like a 401(k). The immediate tax advantage of deducting contributions to these plans is compelling. We find most people don’t need more savings in a tax-deferred account like an annuity. Ken accurately points out that investors can do better on their own than the guarantees offered by most annuities. This is where I disagree. Ken states in his article that “Anyone can.” While investors can do better many don’t. They don’t because they become fearful in stock market downturns and sell out of their positions during the declines. DALBAR has documented this behavior penalty year after year by tracking the flow of money in and out of stock funds. The guarantee offered by an annuity may provide enough peace-of-mind for an investor to avoid the behavior penalty. The internal expenses of the annuity are paying for this guarantee and could be well worth it to these investors. The expenses need to be fully disclosed to the buyer. More importantly the buyer needs to understand how the guarantees are triggered. Some guarantees are just benefits. The living benefits can be complicated and the buyer needs to understand this may not mean they can just surrender their contract and get their money back plus a 6% return. However, used in the right situation, an annuity can be a good fit for a nervous investor. Not all annuities are bad. There is a place for them with some investors. You should talk to an independent financial adviser (who does not earn commissions on the sale of annuities) about whether an annuity is right for you before buying. Annuities were originally created to be personal retirement accounts that turned into private pensions. Most people don’t need annuities today because they have enough money in tax-deferred accounts, such as traditional IRAs and 401(k)s.
The high internal cost of annuities may be worth the price to fearful investors who may panic during a bear market.